The morion is most commonly associated with Spanish conquistadors, although historically, foot soldiers throughout Europe wore them as well. This Spanish Comb Morion Helmet is an excellent replication of the popular protective armour. 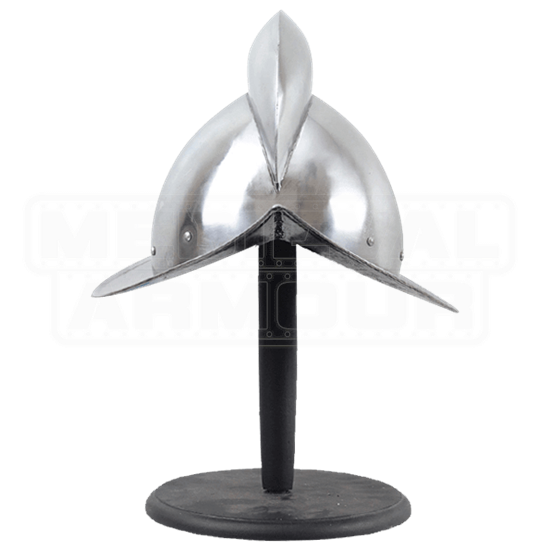 Armour enthusiasts will instantly recognize the look thanks to the rounded peak, flared brim with points at both the front and back, and the large comb that adorns the skullcap. These features are not for decoration, however. They are effective components that are used to strengthen construction and deflect blows. This helmet is made from 18-gauge steel and comes with an internal leather liner. 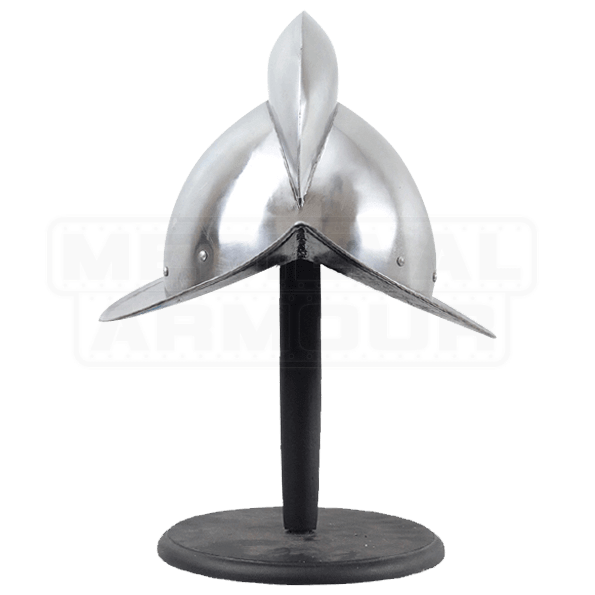 The Spanish Comb Morion Helmet is fully wearable and perfect for costumes, reenactments, and display.